Train Together In Our Family Martial Arts Classes! 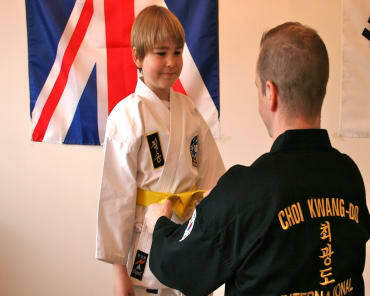 At Clarke School of Choi Kwang Do, we're giving your family an exciting new tradition! 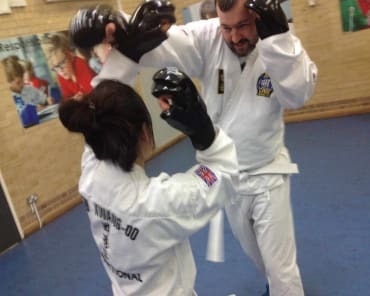 Our Family Martial Arts Classes in Teddington offer exciting instruction for men, women, and children of all ages! With the help of our dedicated instructors, you can build your skills one day at a time and have a blast alongside your loved ones! What Can You Expect In Our Family Martial Arts Program? These classes bring together a wide range of skill levels and martial arts experience. That's why every Family Martial Arts class at Clarke School of Choi Kwang Do includes modifications and instruction for everyone! Whether you're a complete beginner or an experienced martial artist, you can stay challenged and motivated to get better every day. Our Family classes are broken down by the age of your child - but parents are invited to chase their black belts at the same time! And, of course, each class is held in a lighthearted environment where everyone has a blast! Don't Miss Out On Our Family Martial Arts Classes In Teddington! We're proud to offer this cutting-edge family program where you and your loved ones can train together! Join us in Teddington today and take on our exciting Family Martial Arts Classes. The team at Clarke School of Choi Kwang Do will help you have a blast learning new skills. Just fill out the short form on your screen to get started or to learn more today!